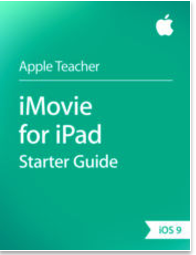 iMovie is an amazing video app to use in your instruction. It offers a wide variety of features that allow you to create and share professionally-designed videos without any major learning curve. Some of these feature include: 14 trailer templates with stunning graphics; 10 Apple-designed video filters; a number of built-in music and sound effects; advanced video filters and animated titles and many more. In today’s post we are sharing with you two excellent free interactive guides created by Apple Education. 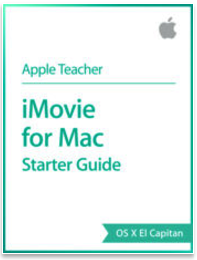 The purpose of these guides is to help teachers make the best of iMovie in their classroom. They introduce teachers to the different features provided by iMovie and walk them through the process of creating educational videos, short movies, trailers and animations.